Directions (1 – 8): In the passage given below there are 5 blanks, each followed by a word given in bracket. Even blank has four alternative words given in options (A),(B),(C) and (D). You have to tell which word will best suit the respective blank. 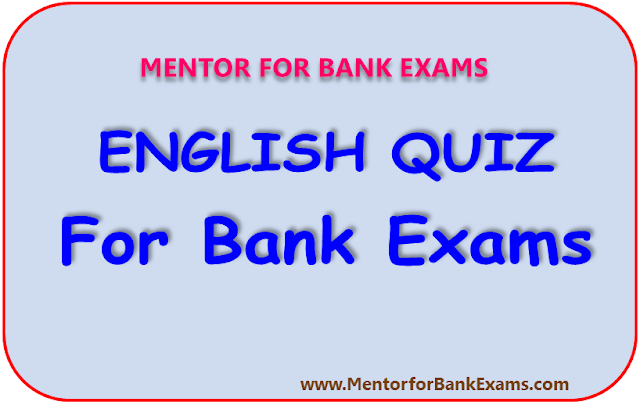 Mark (E) as your answer if the work given in bold after the blank is your answer i.e “No change required”. Surely, Asia has (1)______ [less] infrastructure. Everywhere you look it seems there are new roads, subways, airports, and power plants. But that’s only part of the story. More than 400 million people in the region go without electricity, and as much as 30% of electricity generated in countries like Nepal and Cambodia is (2)______ [generated] in transmission and distribution. Many roads are low quality and dangerous for motorists and pedestrians alike. Around 300 million Asians still have no access to safe, clean drinking water, including half the rural populations of Afghanistan, Kiribati and Papua New Guinea. Roughly 1.5 billion people lack basic sanitation facilities (3)____ [much] as toilets. The need for more infrastructure is (4)_______ [improving] the capacity of countries to fund it. Though nearly $900 billion is spent a year on infrastructure in Asia and the Pacific, that’s substantially less than the $1.5 trillion that ADB estimates the region needs annually from 2016 until 2030 to keep (5)_______ [charged] with economic growth. The estimated annual need rises to $1.7 trillion when climate change impacts are (6)______ [sliced] in. If this problem is not addressed, subpar infrastructure will stunt economic growth. Power (7)______ [generation] hurt factory productivity; bad roads, ports and airports stifle flows of people, goods, and services across cities, countries, and regions. The traffic jams (8)______ [plaguing] Asia’s cities have huge economic and environmental costs. Bad health limits opportunities: How can parents give children the schooling they need to find a good job when they don’t even have clean water? Directions (9 – 13): In each of the following questions a short passage is given with one of the lines in the passage missing and represented by a blank. Select the best out of the five answer choices given, to make the passage complete and coherent. 9. The Goods and Services Tax (GST) Council has done well to clear a Bill that guarantees to fully compensate states for five years for any revenue loss during transition to the new tax regime. A legal backing provides comfort, but there should be ways to prevent states from slacking off on revenue collections. GST subsumes all indirect levies and avoids cascading of taxes, leading to potential revenue loss for states, but they will gain from being able to tax services. (_____________)Sensibly, states will be compensated on the basis of revenue projections from 2015-16 — when growth and revenue collections were buoyant. a) The GST Council should drop the anti-profiteering mechanism to ostensibly keep a check on the pricing policy of producers. b) It goes against the grain of a non-adversarial tax regime. c) A precise estimate of gain or loss is not possible at this stage. d) Such a change in approach will, at least partially, safeguard the Centre’s revenues. e) A protracted slowdown due to demonetisation would hurt their revenues next year. 10. During Donald Trump’s inauguration speech he declared that America’s “forgotten men and women” will be “forgotten no longer”. Then, earlier this month, he vowed to bring back jobs to states that have been “hurt so badly” by globalisation. (__________)They were vital contributors to his election: three-quarters of white men who left education at 18 and voted in November did so for Mr Trump, the highest share of any similarly sized demographic group. And despite the president′s tumultuous start in office, they have remained loyal to him. a) “Forgotten men” are just as important economically as they are politically. b) And during the president′s short political career, he has shown a tenuous grasp of statistics. c) By “forgotten” people, he means above all white working-class men. d) For each component, it measures the gap between white working-class men and all other men. e) This group had good reason to hanker for change: in recent years its economic performance has lagged behind that of American men as a whole by ever-greater amounts. 11. Identity and language are closely entwined, but the high level of bilingualism in Malta has made code-switching rife. The use of English is increasingly present in informal speech—some words are even adopted and given a new life in Italian forms. (___________) Others dismiss such concerns as irrelevant. Professor Joseph Brincat, who teaches linguistics at the University of Malta, says it is too early to say whether Maltese will survive. a) Maltese developed in parallel with the nationalities of those who ruled it, absorbing new elements and fitting them into its simplified Arabic structures. b) Some fear this intrusion could cause the language to be abandoned. c) Much like its society, Malta’s language is the result of centuries of cultural mingling. e) The Sicilians and the Knights of Malta followed. 12. (_____________) Terrorists and criminals cross national borders easily. Law-enforcement should be able to do the same. The police should have access to databases such as passenger name records on internal European flights, and the fingerprints of people who have arrived claiming refugee status. Interior ministers are already pushing strongly for this. Public worries about privacy and abuse of power are reasonable, but the answer to that is good intelligence oversight. a) Each government sets different rules for what data may be looked at, by whom and with what authority. c) Breaking down barriers to information-sharing is a much better idea. d) The internet has fostered a culture in which anybody can pretend to be who they like, or give no details at all. e) We do not allow anonymous births, cars, planes or bank-accounts. Insisting on absolute anonymity online looks a bit anomalous. 13. (____________) Cricket is no exception. Technological advancement is an indispensable part of the game now. Analytics and numbers determine the value of a player and every move is closely monitored to determine his strengths and weaknesses. A small fault can be easily exploited with the assistance of sophisticated software. a) In this scenario, when a batsman or a bowler shows rapid progress at the international level, it indicates the humongous amount of work he’s put in to strengthen his technicalities. b) The young players entertained the crowd with their talent. c) The modern generation of players are juggling with three formats of the game. d) There is no room for imperfection here. e) Development in any field is closely associated with the growth of technology. 9. C) Explanation: Previous sentence mentions about revenue loss for states and also gains for them. Option C fits the blank as it is coherent with previous and next both statement. 11. B) Explanation: Some fear this… Others dismiss such.. Means comparing two things.